Have you ever wondered what a real human brain looks and feels like? Now’s your chance! At the BRAINY School Visits you will get to do just that. 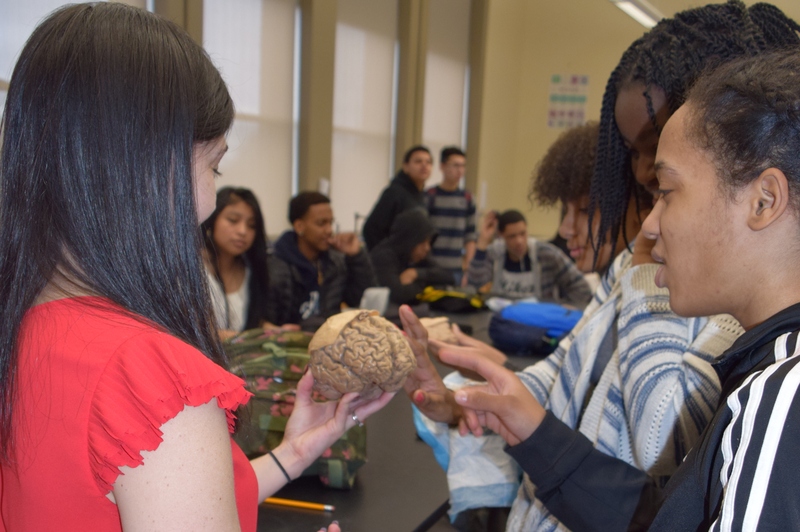 Hold a human brain with your bare hand, ask any burning questions about the most important organ in your body, engage in lively discussions about decision-making, memory, sleep, the senses, injury, and disease. Test your knowledge in brainy mythbusters and enjoy the most interactive anatomy lesson you’ll ever have! BRAINY Visits are organized by Brain Week Rhode Island in collaboration with the Neuroscience Graduate Program at Brown University. To discuss a visit to your school please email Claire Kokoska at BrainWeekRI@gmail.com. Visits are ongoing throughout the year.